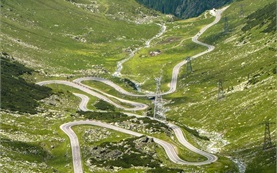 This unique motorbike trip stretches over four countries - Bulgaria, Macedonia, Albania and Greece. The ride will go along the beautiful Ohrid Lake in Macedonia - one of Europe's deepest and oldest lakes with a preserved unique aquatic ecosystem and many historcal sites on its shores, and the famous Vlore-Sarande coastal road in Albania. You will also visit the UNESCO World Heritage Site of Gjirokastra and the Cobo Winery in Albania, the magical Meteora monastery complex in Greece which magnificent monasteries are perched atop 400 m high sandstone rock formations and the symbolic Rila monastery on the slopes of the highest Balkan Peninsula Mountain, regarded as Bulgaria's most important cultural, historical and architectural monument. Take a spin around Sofia on a motorcycle or make a great gift to your friends and motorcycle enthusiasts. 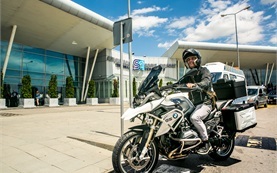 Our experienced guides will make this several hours of motorcycle ride an unforgettable experience for you by any means - a chance to see Bulgaria's capital from a biker's perspective, to visit Sofia's best places at a glance, and to learn interesting facts about the capital. On top, we will customize your trip itinerary according to your preference – nature ride or Sofia sightseeing (places of interest, monuments and sites, bars and restaurants). Just sit back and relax on our premium motorcycles models.